Take charge of your own life! Browse from our informative articles with original content. We don’t just regurgitate old tired sources. We also don’t follow the politically correct crowd. At ProvideYourOwn you get the real scoop – the truth. 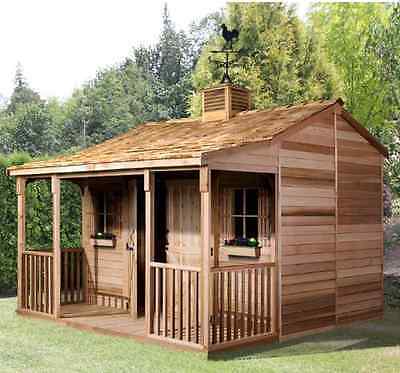 According to a reality TV show on Netflix called ‘Tiny House Hunters’, tiny homes are all the rage these days. I got about 15 minutes into the first episode, and just couldn’t take it anymore. I just had to share my thoughts. In this show, this New Jersey couple first looks at a few acres with some tool sheds euphemistically called tiny houses. Next, they look at a custom ‘model home’ of a whopping 400 sq ft, which is estimated to cost them in the $100k range. The hardwood floor alone was $20/ft2! Now I know that reality TV shows are anything but real, but I am sure there are many people who are thinking just like this couple. That is, they believe a 500 ft2 shed will cost in the $100,000 range. Such ignorance is just too much to not comment on, and share some insights. Do you have a website hosted on a server somewhere – either in your home or in the cloud? Has it ever gone down and you didn’t know about it for hours? I have, and it has happened to me too many times. As a result, I have often wanted/needed a way to verify that the server which is hosting my websites is up and running properly. While many fine graphical tools exist such as Munin for this purpose, I wanted a simple set of utilities that could return just the parameters I needed and how I needed them. There are two different ways in which I want to get my metrics. The first is a command-line utility that I can run from my local computer to test the parameter needed. 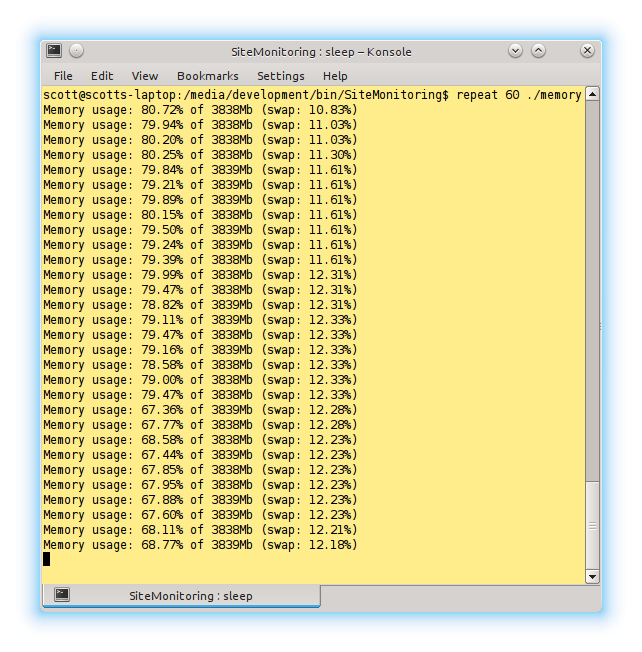 The second is a set of python functions that deliver the same metrics that I can then use to create a custom webpage. I wrote previously about why you should switch to Linux for all your computing needs. I would like to amplify on that assertion. There has never been a better time to abandon Windows and switch to Linux. First I’ll address the disaster that Microsoft Windows has become, and then explore the Linux alternative. Just like the Titanic, even though there is widespread denial, Windows is sinking into the abyss just as surely. Despite the grave metaphor, I am not saying Windows will completely go away (who knows for sure), but it will continue to shrink into irrelevance. Linux rules both the server/cloud world and dominates the mobile market as well via Android. As applications continue to move to the cloud and mobile, the raison d’être for Windows as the only platform that can run the applications a user needs is slipping away. With the loss of updates for Windows XP and Microsoft’s floundering on Windows 8/10, many have started to consider alternatives. The MacOS is of course an option, but I believe Linux to be an even better one. 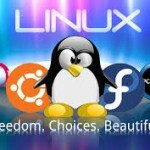 Not only is Linux a good alternative to Windows, but for makers, hackers, tinkerers and homeschoolers especially, Linux is really the only operating system (OS) worth considering. 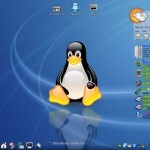 Without a doubt, Linux is the ultimate low-cost operating system. It is absolutely free. How many times have you had a computer where the OS needs to be reinstalled? With Windows systems so vulnerable to malware infections, it is a regular occurrence. When you do need to reinstall, do you still have the original disks? Can they still be read? What about upgrades? If you get a new computer (without an OS), and you want to install your latest version, do you have the full version, or just an upgrade version? If it is just an upgrade version, do you have the original version disks? If not, Microsoft’s DRM will not allow the installation. The Arduino platform is great for prototyping. Its easy-to-use shield architecture, readily identifiable pin numbering scheme, and beginner friendly IDE and software library has created a large and loyal following. In the life of many projects, however, there comes a time when the project is to be permanently deployed. When that time comes, leaving a precious Arduino in the field is often not the best option. Instead, a specialized board with either an ATmega chip or even an ATtiny chip is the best choice. When cost or space is a factor an ATtiny chip is an attractive alternative to the ATmega for simpler projects. Thanks to the Arduino-Tiny project, an ATtiny can be used as a drop-in replacement for most Arduino projects. This initiative provides ATtiny chip configurations as upload board choices in the standard Arduino IDE. By following the instructions described in my previous article – Program an ATtiny Using an Arduino – your Arduino sketch can be uploaded as easily to an ATtiny board as it can be to an Arduino one. 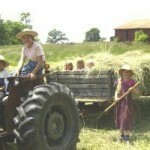 We just finished making this year’s hay at our family farm. Haymaking is an art….. It is exhausting….. It is glorious. It is worthwhile to experience it at least once. You might even want to add it to your bucket list. For city folks, you may be wondering what is this big deal about hay? Hay is like the stuff we find in small bales in October right? Like most things in life, there is a lot more to hay than first realized. When you are done reading this article, you will have incorporated some key knowledge of country living and keeping animals. It is hoped you will be able to vicariously enjoy the process to some extent as well. Hay is dried grass or possibly other green plants. It is not straw. While straw is a dried plant, it is made from the stems of cereal grasses such as wheat or oats after the grain has been harvested. By harvest-time, the stems are turning brown and have almost zero nutritional value. Straw is good for bedding animals. It is worthless for food. 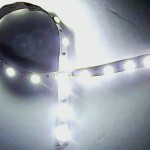 Here at Provide Your Own, we are a big fan of LED lighting. Recent research has raised the alarm that LED lighting can cause retina damage. Is there any truth to this assertion? Can LEDs really be bad for your eyes, even causing blindness? Fortunately for LED lovers, the answer is a resounding NO. When the facts are examined, if LEDs are bad for your eyes, then sunlight is at least ten times worse. Let’s first look at the basis for the assertion. The study found that LED radiation caused significant damage to human retinal pigment epithelial cells in vitro. We irradiated naked retinal cells with intense light from LEDs in a petri dish and they didn’t do so well. Keep in mind that damage would be done with any high intensity light. Have you stared into the sun lately? How about staring into lasers or high intensity LED flashlights? Think you might have some retina damage? My sister in-law has taken to washing her dishes by hand because her dishwasher no longer gets them clean. Millions of other Americans have had the same problem. Many have vainly replaced their dishwashers with new ones only to face the same problem. The problem is not your dishwasher. It is your dish-washing detergent. It has changed. It is not the same product it used to be. A vital ingredient is missing. While you may have noticed the effects of this missing ingredient in your dishes, you may not be aware of the same problem with your clothes. 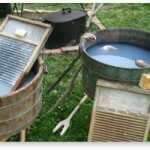 That is because this vital ingredient was taken out of laundry detergents over twenty years ago. That is so long ago, that most of us just think clothes are supposed to be grungy after a few washings. I am old enough to remember clothes staying clean, but didn’t understand why they didn’t any more until recently. The magical ingredient that is no longer present in commercial detergents is tri-sodium phosphate or TSP as it is commonly known. This natural ingredient is made from phosphate deposits primarily found in Florida. 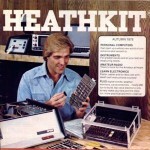 When I was a young man, I badly wanted to design and build my own stuff – even my own color television. One of my primary motives was a means to save money, of which I was sorely lacking. I was told by my elders that such thinking was incorrect. There was no way I could design my own television – that took a team of experts and that, in any case, I could not save any money in the process. I was better off to get a good paying job and just buy a television. As I look back on that conversation, I have learned that the first statement was false, the second one true, and the third false you can try these out. Let’s look at each assertion in more detail. I have been wanting a 10″ Android tablet, but they have always been too expensive. Sure, there have always been cheap Chinese knockoffs, but they have always been pretty junky affairs – until now. My family recently bought me a Polaroid brand 10.1″ tablet running Android 4.0 (Ice Cream Sandwich). While this manufacturer does cut some corners, amazingly it didn’t cut the ones that count. It sports stereo speakers that sound better than the original Kindle Fire and has more memory as well. It even has a front facing camera and an HDMI output jack. Speed is decent and WiFi works just fine. It lacks the sensors of high end tablets and cell phones, but does have a microphone and accelerometer. It is perfect for viewing movies, PDF files, web browsing and Skype – typical tablet stuff. It also has USB input so you can easily attach a keyboard as well. You can also charge it via USB as well as using the supplied fast charger.